I thought I would share one of my natural cleaning recipes today. Since we had a pretty mild winter we have been having an awful time with pests. Since in my home we try to avoid harsh chemicals, pest spray would never be able to make that cut. 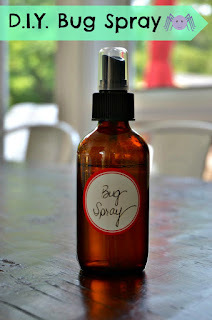 After quite a bit of research, I developed this recipe as a general pest control spray. Each ingredient has a purpose. These essential oils will help keep away bugs, roaches, spiders, and ants. All you would need to do is spray it around the entry points in your home. This would be places like doorframes, windows and any holes or cracks in the walls. I also like to wipe my counters down with it. Another helpful tip is to make your home as uninviting as possible. You can do this by making sure all food is covered and put away. Crumbs are whipped up off the counter and swept off of the floor and any spills are whipped up right away. What are your favorite ways to keep the pests away? Mix all ingredients in a spray bottle and shake to make sure everything is mixed well.